Serta is one name that you will almost always find when shopping for a new mattress. Now, if you are looking for a hybrid mattress that uses both memory foam and innerspring coils, you may get confused with iComfort and iSeries. What is the difference between iComfort vs iSeries? Which one is actually better? iComfort is backed by a bold claim from the manufacturer. According to Serta, iComfort is their most advanced sleep system ever. As of 2018, there are actually two kinds of mattresses available in the iComfort line, which are the iComfort Hybrid mattresses and iComfort Foam mattresses. The main difference is that the iComfort Hybrid mattresses use both memory foam and innerspring coils, whereas the iComfort Foam mattresses only use memory foam. There are actually two kinds of mattresses in iComfort. 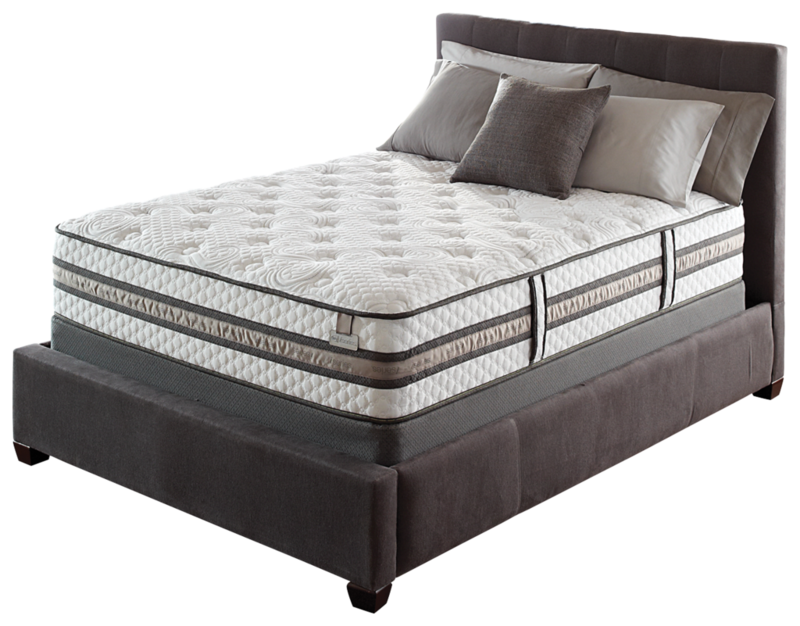 iComfort Hybrid use memory foam and innerspring coils; iComfort Foam use only memory foam. These memory foam mattresses are truly awesome. Note that most of them require a ‘break-in’ period. At the first few nights, you may feel that the mattress is not comfortable enough, with minimal contouring and too much support. However, after some nights, you will find that the mattress has adapted to your body. The iComfort mattresses can provide impressive contouring and pressure relief. You will no longer experience muscle pain or stiff back due to a bad sleeping position. According to Serta, all iComfort mattresses work with all standard bed frames. However, it is recommended that you use a solid foundation or a box spring in order to optimize the stability of the mattress. A solid foundation or a box spring can provide even support across the surface. Every iComfort mattress model has a 120-day in-home trial period. After purchasing a mattress, you automatically get the 120-day trial period. You can try sleeping on the mattress for at least 30 nights to evaluate the feel. Keep in mind that it may take a few weeks for your body to get adjusted to a new mattress. After 30 nights, if you are really unhappy or unsatisfied with the mattress performance, you can call the customer service. They will answer any question related to the mattress. You are allowed to change your mattress with another iComfort model, or return the mattress for a refund. However, note that some shipping and disposal charges will be deducted from the refund. All iComfort mattresses use the TempActiv Gel Memory Foam. This is a highly sophisticated material. Traditional memory foam is notorious for keeping heat around the sleeper’s body and causing hotness during the sleep. However, Serta has infused a gel material into their memory foam to significantly enhance the cooling performance. All iComfort mattresses use the TempActiv Gel Memory Foam. This is a highly sophisticated material that prevents discomfort and sweating. It also uses phase-change materials to provide the right amounts of support to different body parts. This gel material makes the surface feel cool to the touch. It effectively absorbs and dissipates excessive heat away from around your body throughout the night. Hence, it is able to prevent discomfort and sweating, ensuring a quality sleep. In addition, the TempActive Gel Memory Foam also has ‘phase-change materials’ (PCMs) that are put on the surface of the memory foam. These phase-change materials allow the memory foam to provide the right amounts of support to different body parts. 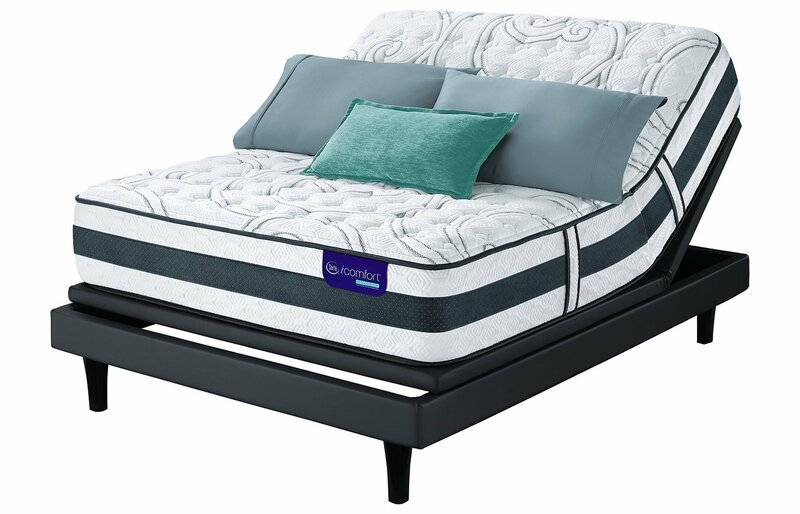 The iComfort Hybrid mattresses use the Serta Micro Hybrid Coil Support System. It consists of responsive yet durable coils that provide the ideal combination of comfort, support, and durability. As the effect, the mattresses that use this technology can response more quickly to pressure. These mattresses are ideal for those who prefer quick response and enhanced support. The iComfort Foam mattress use Deep Reaction Memory Foam and Ultimate Edge Foam Support Core. These layers effectively improve the weaknesses of memory foam. The Deep Reaction Memory Foam is designed to provide deep compression support to the sleeper. As the sleeper’s body sink into the mattress, the mattress needs to provide some support to prevent the body from sinking too deeply. The mattress also needs to ensure smooth transition from the soft, contouring top layer to the firm, supportive base. The Deep Reaction Memory Foam effectively serves the purpose. The Ultimate Edge Foam Support Core is designed to ensure good support around the edges of the mattress. Memory foam mattresses often have poor edge support because they don’t have anything to keep the foam on the edge from sinking too much. As the effect, if someone sleeps on the edge, they may fall from the mattress. The Ultimate Edge Foam Support Core ensures good edge support so that you can sleep on the edge without falling. There are 6 iComfort Foam models available. Quick Overview: 13.5” thickness, medium-firm. This model is especially suitable for people who suffer from joint pain or back paint. It provides the right amount of support without causing pressure points. It is a great choice for back sleepers and stomach sleepers. Quick Overview: 13” thickness, very soft. This model is the softest mattress in the line. It is great for side sleepers. It contours the body very nicely. However, it doesn’t provide enough support for back sleepers and stomach sleepers. Quick Overview: 13” thickness, soft. This model is considered soft by most sleepers. It is great for side sleepers. The contouring and pressure relief are great. It is also suitable for other types of sleepers who like soft beds. Quick Overview: 13” thickness, medium-firm. This model is firmer than the typical medium firmness. It provides more support, so it is suitable for back sleepers and stomach sleepers. It also offers enhanced cooling performance. Quick Overview: 11.35” thickness, very firm. This mattress is very firm, so it is only suitable for back sleepers and stomach sleepers who like firm beds. Note that this mattress has superior motion isolation, so movements on one side of the bed is virtually unnoticeable on the other side. Quick Overview: 9.75” thickness, medium firmness. With a medium firmness that goes a little bit towards the firm side, this mattress is suitable for most back and stomach sleepers. It provides good contouring and pressure relief. It may be a little bit too firm for side sleepers. 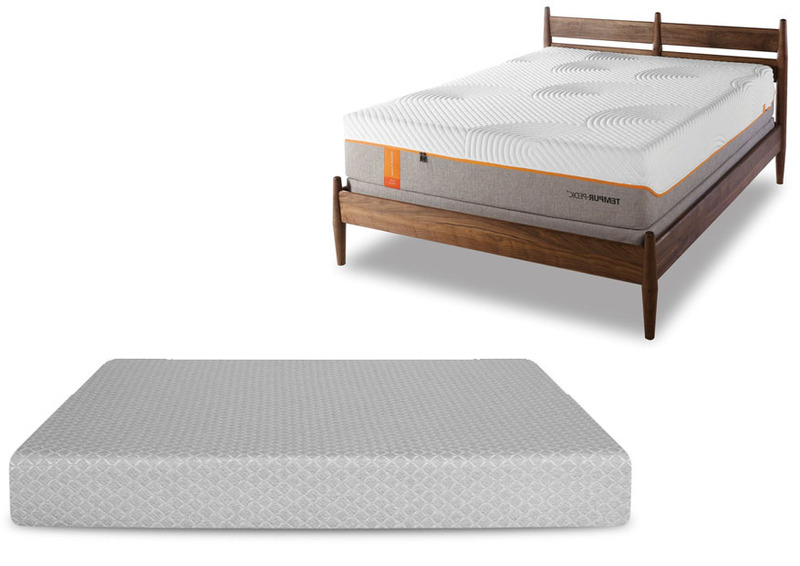 The iSeries line from Serta has a collection of hybrid mattresses which offer enhanced pressure relief from their patented gel memory foam technology as well as enhanced support and contouring from their special coil system. Interestingly, the iSeries line is considered as an exclusive line by the company. The iSeries line is considered as an exclusive line by the company. It offers enhanced pressure relief from their patented gel memory foam technology as well as enhanced support and contouring from their special coil system. 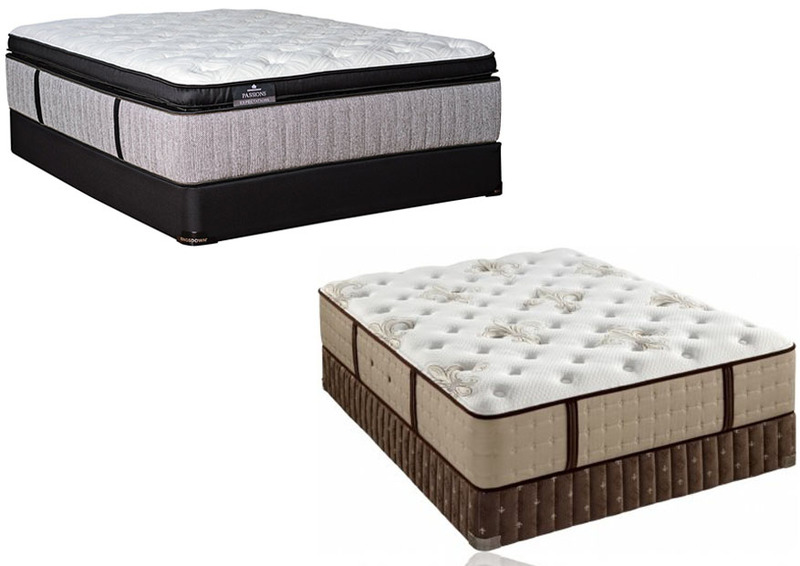 It is difficult to compare the iSeries line to the iComfort line because some of the features and even the prices are not disclosed by the company. The iSeries line is only sold by certain authorized Serta retailers, so the prices depend on the retailers. However, since iSeries is an exclusive line, the mattresses are generally more expensive than iComfort. 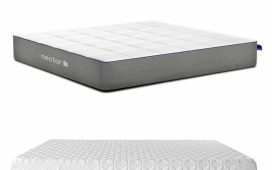 In general, the iSeries mattresses feel similar to the iComfort Hybrid mattresses. This is not surprising because they are all basically hybrid mattresses. They all use memory foam and innerspring coils. However, the iSeries mattresses do have more luxurious characteristics, such as enhanced cooling, contouring, and support. They also offer more bounce. These luxurious characteristics come from the additional features. According to the manufacturer, the iSeries mattresses are compatible with standard bed frames and box springs. Keep in mind that, if you choose a Queen, King, or California King mattress, you have to use a bed frame that has a center support that extends to the floor. This is an important requirement for the mattress. Otherwise, if you don’t use a bed frame that has a center support that extends to the floor, you will void the warranty. There is a big difference between iComfort vs iSeries mattresses. Unlike the iComfort models, the iSeries models are not sold directly by Serta. They are sold by certain authorized Serta retailers. So, an iSeries mattress may come without the 120-day trial period. The trial period depends on the retailer from which you purchase the mattress, so make sure that you ask the seller about this. However, every iSeries mattress also comes with the 10-year limited warranty. You may claim the warranty if your mattress is sagging too much, and the company will either repair or replace the mattress. Just like the case with an iComfort mattress, there is also a threshold for the sagging, depending on the iSeries model that you choose. On some models, sagging under 0.75 inches is considered normal. On some other models, sagging under 1.5 inches is considered normal. 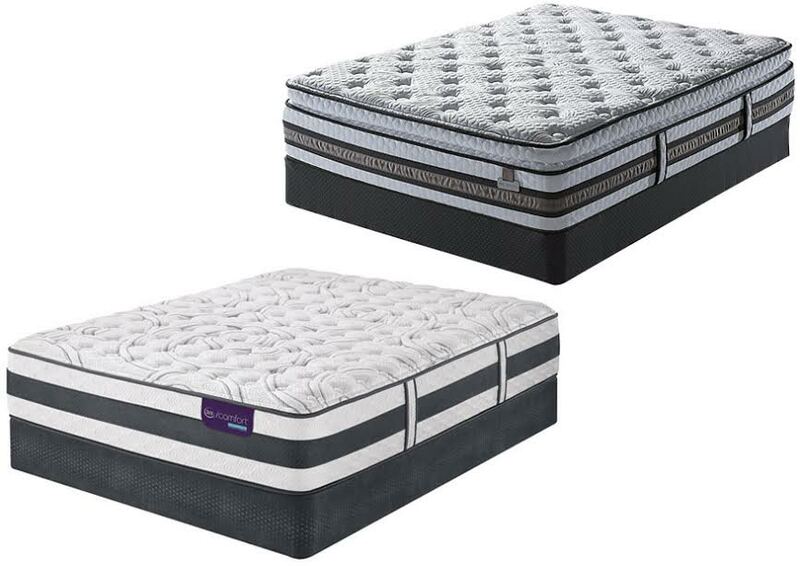 Unlike the iComfort line, which has two kinds of mattresses, the iSeries line only has one. The mattresses in this line are all hybrid mattresses. In other words, they all use both memory foam and innerspring coils. Every iSeries mattress comes with the Cool Reaction Gel Memory Foam. This is different from the one used on iComfort mattresses. The Cool Reaction Gel Memory Foam is designed to provide the right amount of pressure relief. It provides excellent contouring to the sleeper’s body. It is able to adapt to every curve and pressure. In addition, it also has gel infusion which greatly enhances the cooling performance. As the effect, the mattress feels very cool and comfortable. The Cool Reaction Gel Memory Foam is designed to provide the right amount of pressure relief. It also has gel infusion which enhances the cooling performance. Every iSeries mattress also has the 886 Pro Support Coil System. It features 886 coils that are individually wrapped. They continuously adapt to your body position to provide the best levels of support and contouring, especially to the heaviest body parts. They support the back very nicely. The individual wrapping reduces the motion transfer, so that movements on one side of the bed will not be transferred to the other side. The Best Edge Foam Encasement puts a firm, supportive layer of dense foam on the edges of the mattress. The foam encasement maintains the shape of the mattress and ensures that the innerspring coils will always stay in place. The foam encasement also enhances the edge support, so that you can sleep on the edge of the mattress safely and comfortably. Finally, there is the HyperFeel Surface Design cover. The company has designed this sophisticated fabric cover to provide the best cooling and comfort to the sleeper. This cover also allows you to engage into the feel of the memory foam beneath directly. It feels very soft and gentle on the skin. There are 4 iSeries mattress models available. Quick Overview: 15.625” thickness, medium firmness. This mattress is suitable for most sleepers and especially side sleepers. It provides the right amount of cushioning and pressure relief so that side sleepers don’t get muscle pain on their arms or legs. Quick Overview: 14” thickness, medium-firm. This mattress is suitable for back sleepers and stomach sleepers. It provides excellent contouring and pressure relief. However, it is not soft enough for most side sleepers. Quick Overview: 13.5” thickness, soft-medium. This is quite a soft mattress. The softness is great for side sleepers. It allows you to sleep on your side very comfortably. It contours the body very well without creating much pressure points. Quick Overview: 13.5” thickness, very firm. This mattress is much firmer than the other models. This model is especially suitable for back sleepers and stomach sleepers who like firm beds. In general, the iComfort mattresses can give you the most value from the money. They already offer great contouring, support, and cooling. They also have more options with various firmness levels, from very soft to medium to very firm. On the other hand, the iSeries mattresses come with some exclusive technologies, including the 886 Pro Support Coil System. The iSeries mattresses make a good choice if you are looking for a luxury hybrid mattress with enhanced contouring, support, and bounce.